What are the main things people think about when buying a new home? Go on, try and name a few… Let's see, a decent price, nice area, good schools. But what about commute time? If it wasn’t in your top few considerations, it should be. According to a CoreData survey, 55% of people didn’t consider the cost of commute when purchasing a new home. This figure seems strange when you think about the amount of time each week people spend stuck in traffic or sitting on a train. The average Sydney commuter spends a little over an hour commuting every day. If you exclude getting out and about on the weekends, that works out to be somewhere between five and six hours a week of travel. Astonishingly, over a year, it amounts to longer than 11 days! But that’s just a rough average and for many people, it’s a lot longer. So what about the cost? Well, this figure is pretty variable, but it can range from about $1,500 a year if you stick to public transport and exceed $5,000 if you drive a larger vehicle, and that’s just the fuel used going to and from work. So what can be done to claw back some of your precious weekly hours and leave more money in your savings account by the year’s end? Well, as it turns out, you don't have to travel very far at all to transform your commute time or the monetary costs you’ll incur over a lifetime significantly. Each year, the average Australian spends over 264 hours commuting. One thing that can make a huge difference is the suburb you choose to live in. In fact, just hopping a couple of suburbs over can drastically shift your commute times or save you tens of thousands of dollars over the course of your life. And interestingly, while a house in one suburb might be cheaper, it may cost you more in the long run when you take the overall price of commuting into account. 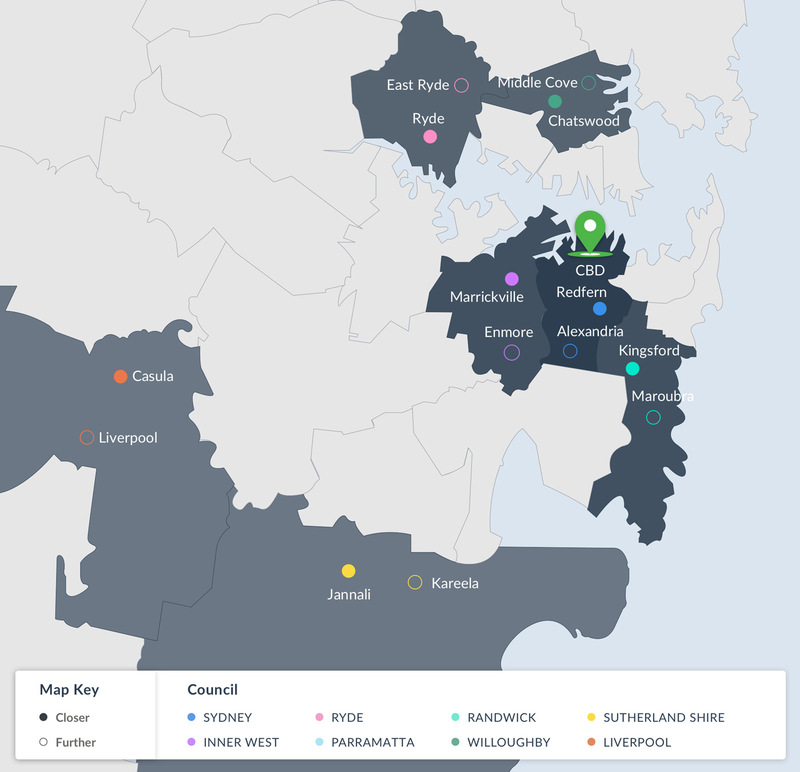 To highlight these differences, we’ve crunched the numbers on various pairs of suburbs within the same councils around Sydney, Newcastle and Wollongong with similar median house prices and compared the time and cost of commuting via public transport to Sydney Central station. The median house price was found on onthehouse.com.au by CoreLogic on March 1 2019. Daily commute times and the average cost of the daily commute was taken from Transport for NSW and was based on commute via public transport to Central Station at peak hour on March 1 2019. Commute routes were taken from major transport hubs within that suburb - either train stations or bus stations on main roads. For lifetime commute cost, we calculated the daily cost of commute times 250 (number of working days this year). We then took that total and times by 42 (estimated number of working years). Lifetime commute cost was calculated using Ford’s Commuting Calculator based on 42 working years. As you can see from the table, there can be a lot of difference in lifetime commute time and costs between neighbouring suburbs, even if they might be just a few kilometres away. If you look closely, there is no direct correlation between saving money and time. You may be cutting your commute time by living in one suburb, but it might end up costing you more in the long run. So really when it comes down to it, you’ve got to weigh up what is important to you. Some suburbs, however, are clearly a win-win, saving you both money and time. It really goes to show the value in doing some research into your suburb’s commuting options. Let’s break down each of our comparisons to see the cost of commuting in Sydney and surrounding areas. Redfern and Alexandria are both inner city suburbs and at 1.5 km apart they're practically a stone's throw away. They even have similar house prices and share a main street with cafes on every corner, but those living in Alexandria save $28,140 in lifetime commute costs due to the transport route. That’s a new Mazda 3 of difference! But it’s not all bad for those who choose to live in Redfern, they might have to miss out on a new car, but they also save 32 minutes a day in commute time. Over a lifetime that equates to 0.7 years or around 8 months, which is almost the time takes to get to Mars… if they were so inclined. Marrickville and Enmore are two of Sydney’s most trendy suburbs, home to theatres, nightlife and upbeat restaurants. 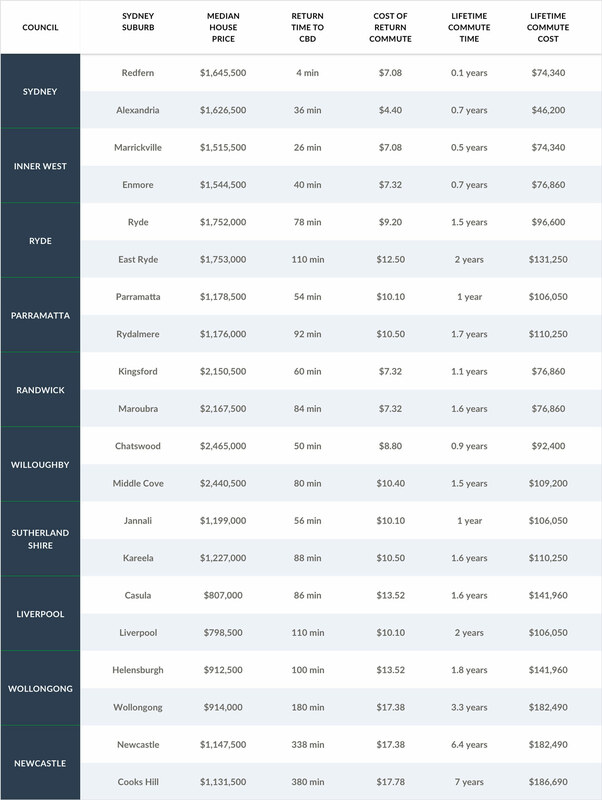 If you look at the table above, you’ll notice that both the median house price and commute costs are closely comparable, but if you choose Marrickville, you’ll get two and a half months of your life back. That’s enough time to kayak to New Zealand, have a two week holiday and kayak back. I’m not saying you should, but it would be impressive if you did! East Ryde, is as its name would suggest, to the east of Ryde. The suburbs are just 4.9km, apart and median house prices are only $1,000 more in East Ryde, yet for the extra spend, it will actually cost you an extra $34,650 after a lifetime of commuting, which doesn’t really seem worth it. You’ll also spend an extra six months of your life commuting, that’s enough time to cycle the silk road! The median house price in Parramatta is $2,500 more than in Rydalmere, however, the extra spend is probably worth it when you consider you’ll get an extra eight months of your life back, or about the time it would take to learn a new language! Lifetime commute costs are the same for those who live in Maroubra and Kingsford. Both are close to the beach, although Maroubra is a little closer. 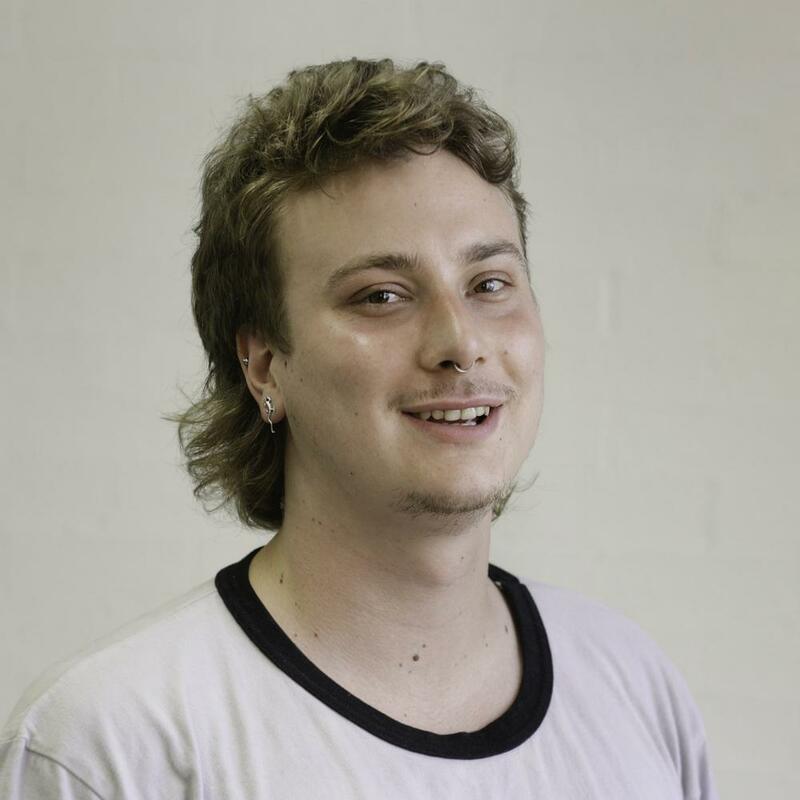 But having the sand at your doorstep means a commute time of 84 minutes to and from the CBD versus 60 minutes for those living in neighbouring Kingsford. Over a lifetime that’s six months, imagine how many books you could read in that time, but then again, maybe a beachside location is worth it to some. Although neighbouring suburbs, Chatswood is a bustling cultural metropolis while Middle Cove is more of a waterfront getaway. Median property prices in Middle Cove are $25,000 less than in neighbouring Chatswood, but after a lifetime of commuting, you’ll just about make that back in savings, as well as spending just under a year commuting, versus 18 months for Middle Cove. In that time you could walk the entire Great Wall of China. 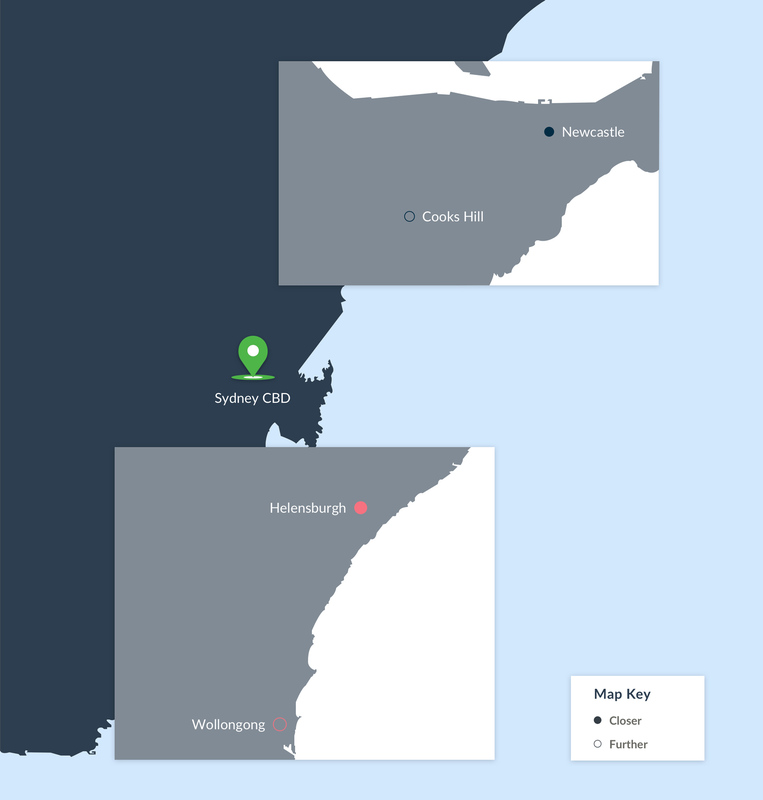 Jannali and Kareela are neighbouring suburbs in the Sutherland Shire, but a trip from Jannali to the CBD is over in less than an hour, while Kareela takes a full half hour longer. Choosing to live in Jannali over Kareela could save you $4,000 and seven months after a lifetime of work. Sounds like a win-win! The median house price for Liverpool is $10,000 less than neighbouring suburb Casula, and after a lifetime of commuting, you’ll be better off almost $40,000. Sounds awesome right? Well, there’s a slight trade-off, although commuting from Liverpool might be cheaper, it will take 2 years of your life. In that time you could’ve cycle around the globe four times! Wollongong and Helensburgh are both south of Sydney and those choosing to live there know they’re in for a longer commute. But to them, it might be worth it. Helensburgh is tucked next to the beautiful Royal National Park, and Wollongong has stunning coastline scenery to offer, but what are the lifetime costs of commuting so far? Well, Helensburgh will cost $141,960 and 1.8 years, that’s a fair bit. However, nearby Wollongong will cost $182 490, that’s over a $40,000 difference, and at 3.3 years, the lifetime commuting time is almost double. In that amount of time, you could walk around Australia three times. Newcastle and Cooks Hill both lie to the north of Sydney, and both have a long commute. The cost of commuting from Newcastle and Cooks Hill are the same, even though the commute from Cooks Hill is 42 minutes longer each day. Travelling from Newcastle to Sydney will take over six years after a lifetime of work, you could commute to Jupiter in that time. But Cooks Hill, well that’s a staggering seven years of your life. You can do a lot of things in seven years, but here’s one last quirky fact, seven years is the time it took to build both the Eiffel tower and the world’s tallest building, the Burj Khalifa. By now you probably get the picture, between close suburbs there can be a lot of difference in commuting time. Yes, you save time and money, but there are other costs that you might not even think about. One such problem is physical health. Correlations have also been found with higher blood pressure and obesity. Simply put, more time sitting down means less time for exercise. A 2016 report also found that commuters consumed roughly 800 more calories a week, basically due to those extra snacks you might purchase for a long train trip. As well as costs to physical health, commuting may also take a toll on mental health. A 2014 study that examined the well being of UK commuters found that for each extra minute travelled, happiness and self-satisfaction declined. A 2007 study of commuters in Germany by economists Alois Stutzer and Bruno Frey found similar results, the longer the commuters had to drive to work, the less life satisfaction they had. When you think about it, commuting can be a stressful thing, excess traffic or a train delay can make you late to work, and both these factors can be completely out of your control. Research from CoreData has shown that technology has made it easier for people to stay occupied while commuting, however, this can have varying effects. Research has shown that ‘Phone Addicts’ are more commonly found among public transport users. So is there an ideal daily commute? Well as it turns out, around the world there exists a general average named ‘Marchetti’s Constant’. The Italian physicist found that people have a daily travel threshold of around an hour, so half an hour either way. Some cities are slightly more and slightly less, but the constant works pretty well all around the world. The idea states that people will fill up their time accordingly - if they live closer they may walk for half an hour, or if they live further they might drive for half an hour. A recent study has found that commuter behaviour in Sydney sticks to this pattern, with the city’s average one-way trip to work at clocking in at 37-minutes. The Grattan Institute made similar findings for Sydney and Melbourne in a 2017 study. Leading regional economist Terry Rawnsley has voice concerns in that skilled workers may disregard high productivity jobs in employment hubs, instead settling for work closer to home. Many people will consider changing occupation or where they live rather than putting up with long commute time. Despite this CoreData’s findings showed that for workers in Sydney 58.5% of workers either agree or strongly agree that they would prefer a long commute (over an hour) if it meant travelling to their dream job, compared to a short commute (under half an hour) to a less than ideal job. The fact of the matter is that not everyone has their dream job, and even still when the costs and time of commuting are taken into account, many people will consider changing occupation or where they live rather than putting up with long commute time. When you take into account that the average person spends around 13 years of their lives at work over a lifetime, it makes sense that we wouldn’t want to add more unnecessary time into that portion of our lives. Given the cost of Sydney’s housing and slow wage growth it’s also understandable that you want to be maximising the amount of money you take home. What do you value more: time or money? When considering which suburb to purchase a new home, the cost of commuting should always be a factor to consider. But what do you value more: time or money? By moving a suburb over, you might not be able to improve both metrics, but you can choose one, in most cases above, time or money spent can be improved. Here’s some food for thought, perhaps by reducing your commute cost, you could afford a home in a more desirable location long term. An $80,000 saving in lifetime transports costs can really go a long way, and what about the years you’ll get back? I’ll let you dream about what you’d do given the extra time. Commuting means something different to everyone, for some, this journey can be enjoyable, a peaceful moment to read a book, but for some the stress of being banked up in traffic makes it seem like the lowlight of their day. At the end of the day, they have to weigh up the value of their own journey. But for those who need change, or are committed to a shorter or cheaper commute time, the answer might only mean moving a suburb or two away.